Seidio replacement battery cover for Palm Treo 700p and Palm Treo 700w comes with a reset hole which allows users to reset their Treo 700 without removing the battery cover, thus resolving a long existing problem on Palm Treo PDA devices that users need to take the original cover off, pressing the reset button, and putting the cover back on every time your Treo 700 runs into a slight problem or freezes. With the reset hole, users can can just poke the reset pin through the reset hole on the battery cover and to reboot the Palm Treo. 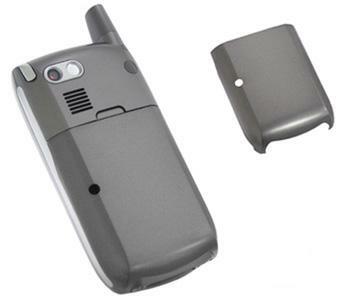 Seidio battery cover for Palm Treo 700p/w is available in Sprint or Verizon version. Palm InfoCenter reviews Treo replacement battery cover from Seidio and concludes with overall rating of 4 out of 5 that Seidio impresses once again with the small stuff! This is as close to an essential purchase as any Treo 700-series owner can make. A black rubberized version of this cover would make it absolutely perfect! As is, it’s pretty darn close to perfection.